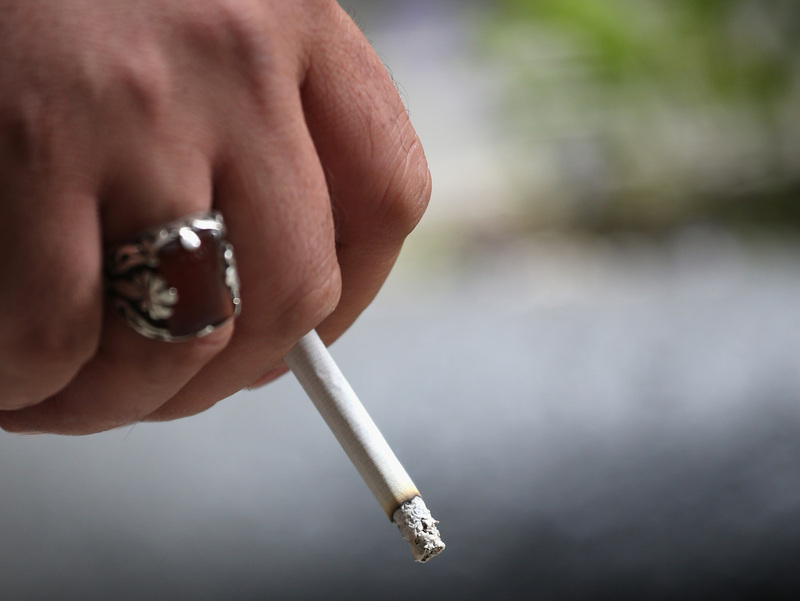 New York OKs Raising Age For Tobacco Purchases To 21 : The Two-Way The law, which Mayor Michael Bloomberg has promised to sign, would make New York one of a very few U.S. cities to adopt such strong restrictions. A smoker in New York City in April. New York's City Council on Wednesday voted to raise the legal age for purchasing tobacco products and electronic-vapor cigarettes to 21 from the current 18 years, adopting one of the nation's toughest such restrictions. Mayor Michael Bloomberg, who has pushed for anti-tobacco measures, has said he will sign the law. "This will literally save many, many lives," said City Councilman James Gennaro, the bill's sponsor, whose parents both died from tobacco-related illnesses. "I've lived with it, I've seen it...but I feel good today." In pushing the bill, city officials said that the younger people begin smoking, the more likely they were to become addicted. And they pointed out that while the youth smoking rate in the city has declined by more than half at the beginning of the mayor's administration, to 8.5 percent in 2007 from 17.6 percent in 2001, it has been stalled since then." "At least two towns, both in Massachusetts, have agreed to raise it to 21 ... but New York is by far the biggest city to bar cigarette sales to 19- and 20-year-olds. Similar legislation is expected to come to a vote in Hawaii this December." Officials previously shelved a plan Bloomberg unveiled with fanfare earlier this year: forcing stores to keep cigarettes out of public view until a customer asks for them."